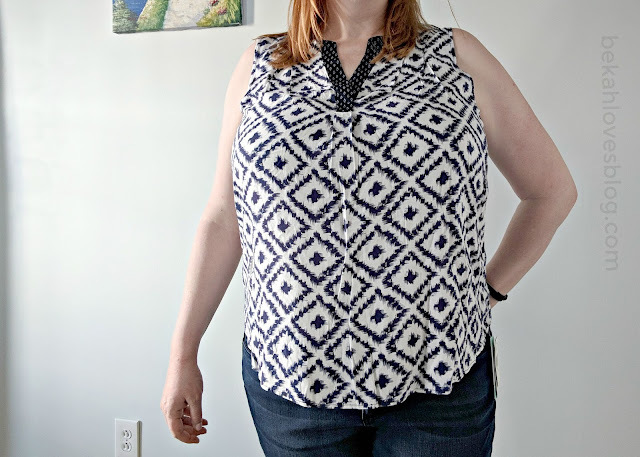 After finally giving in and trying Stitch Fix, I felt the first try was so promising that I decided to try a second fix right away instead of waiting a month (plus, spring temps are finally arriving, time to freshen things up!). 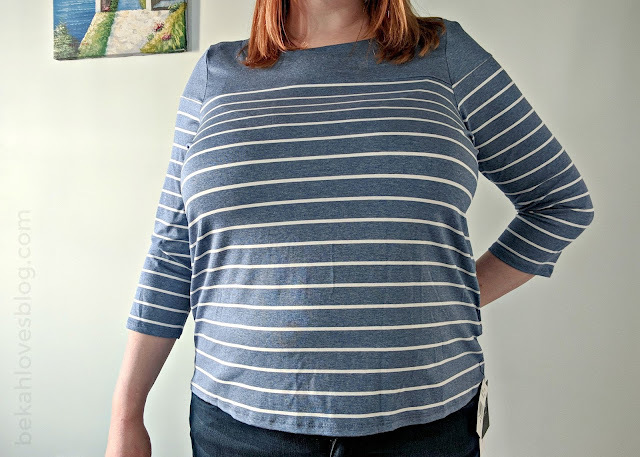 If you missed it, you can read about my first experience with Stitch Fix here as well as a brief description of how the whole thing works. 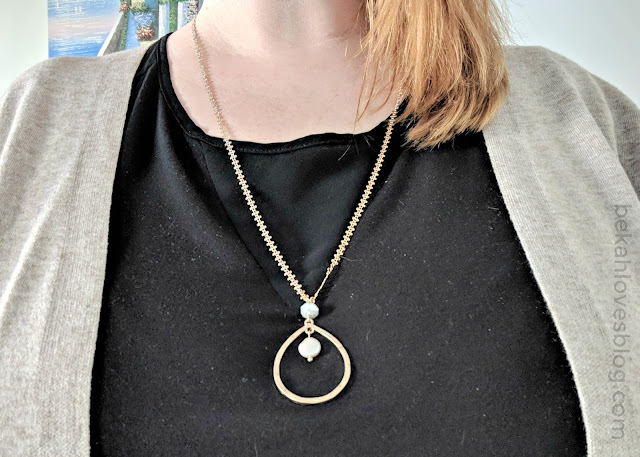 I loved the sturdy chain and cute pearl detail on this, but ultimately didn't feel I'd wear it often even though I found it super pretty (though if that teardrop were a quatrefoil, I'd have kept it in a heartbeat). Returned. $88 is way more than I would ever spend on a pair of jeans, and there was certainly nothing special or high quality about these. Returned. At first I was stunned to find this in my fix. 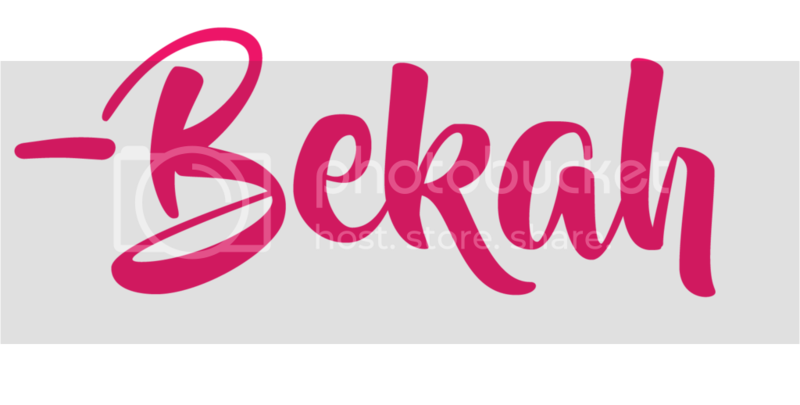 I've avoided horizontal stripes for years...but, I did pin some Kate Middleton on my Pinterest board, so I understand why my stylist chose this. 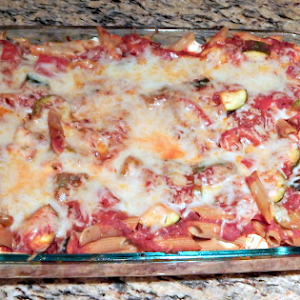 Thankfully it was super soft and Sean and I actually both liked how it looked. Kept. This was hands down my favorite item in the fix. The print and colors are exactly my style and it came in the softest rayon fabric, my favorite! This will definitely be my go-to work blouse this summer. Kept. So close yet so far. 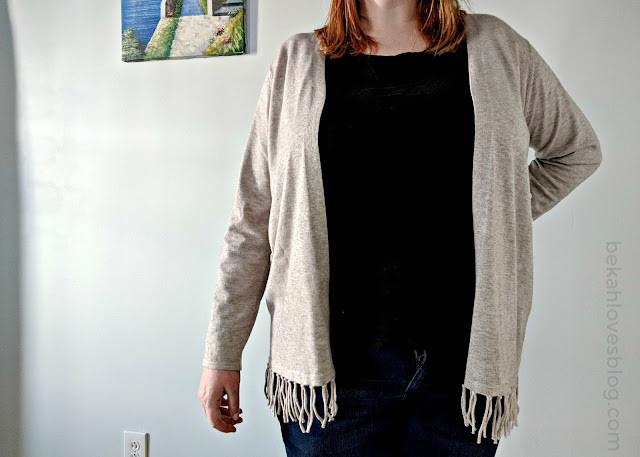 I've been looking for a simple ivory cardigan for awhile, and I loved the one from my very first fix. I asked my stylist if it came in ivory. 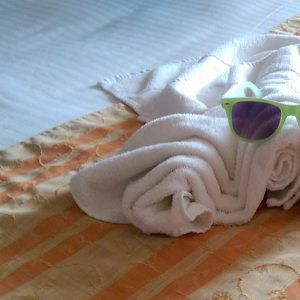 It didn't, so she sent this one instead. It was super soft, but ultimately I'd like a simpler (read: fringe-free) and less expensive version. 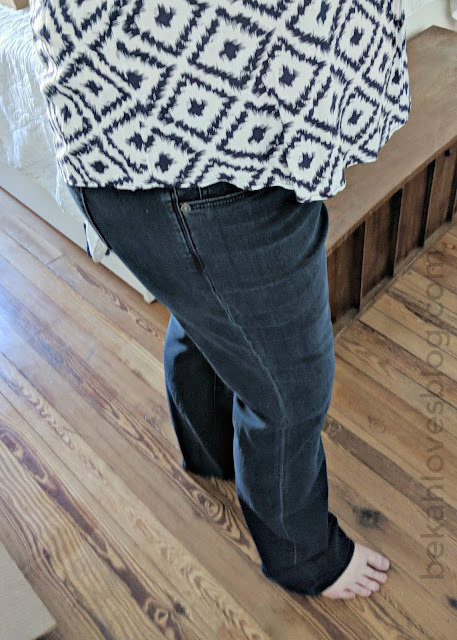 I'll be honest: at first sight, I thought the fix was a lot of random stuff put together and I was so disappointed, (each fix comes with a photo card and based on that, I thought I would only like the split neck blouse) but after trying everything on, I realized the stylist had done what I wanted when I first signed up for Stitch Fix - chose things that would fit my style while diversifying what I already wear. Just like last time, I kept 2/5 items in the fix, and I'm looking forward to seeing what comes my way in May! or give them a try by taking their style quiz and trying your first fix here! I love the cardigan! Fringe is so in and I love that this one isn't overdone! I love the print on that Zina Split Neck Top! Those jeans look super comfy! I love that necklace and that striped top looks amazing on you! 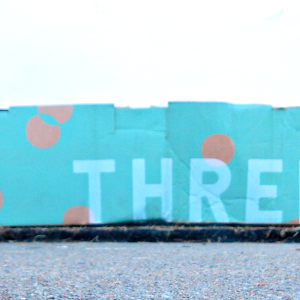 I only had a little luck with Stitch Fix. I found a couple of pairs of shorts that fit me perfectly and a wonderful lightweight summer dress shirt I loved (sadly it was a little too lightweight and the sleeve got caught on something and ripped). I really like the Zina Split Neck Top. Super cute!